Shana wakes up one morning to discover her little sister in the grip of a strange malady. She appears to be sleepwalking. She cannot talk and cannot be woken up. And she is heading with inexorable determination to a destination that only she knows. But Shana and her sister are not alone. Soon they are joined by a flock of sleepwalkers from across America, on the same mysterious journey. And like Shana, there are other “shepherds” who follow the flock to protect their friends and family on the long dark road ahead. For as the sleepwalking phenomenon awakens terror and violence in America, the real danger may not be the epidemic but the fear of it. With society collapsing all around them—and an ultraviolent militia threatening to exterminate them—the fate of the sleepwalkers depends on unraveling the mystery behind the epidemic. The terrifying secret will either tear the nation apart—or bring the survivors together to remake a shattered world. 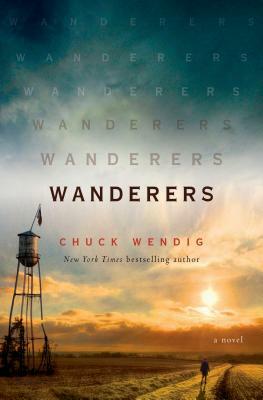 Chuck Wendig is the New York Times bestselling author of Star Wars: Aftermath, as well as the Miriam Black thrillers, the Atlanta Burns books, and Zer0es/Invasive, alongside other works across comics, games, film, and more. He was a finalist for the John W. Campbell Award for Best New Writer and an alum of the Sundance Screenwriters Lab, and he served as the co-writer of the Emmy-nominated digital narrative Collapsus. He is also known for his popular blog, terribleminds, and books about writing such as Damn Fine Story. He lives in Pennsylvania with his family.